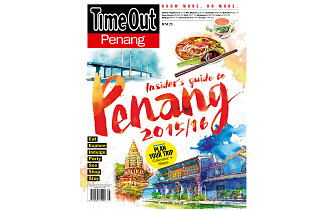 Your comprehensive guide to Penang: the best in hotels, food, culture, attractions and nightlife. 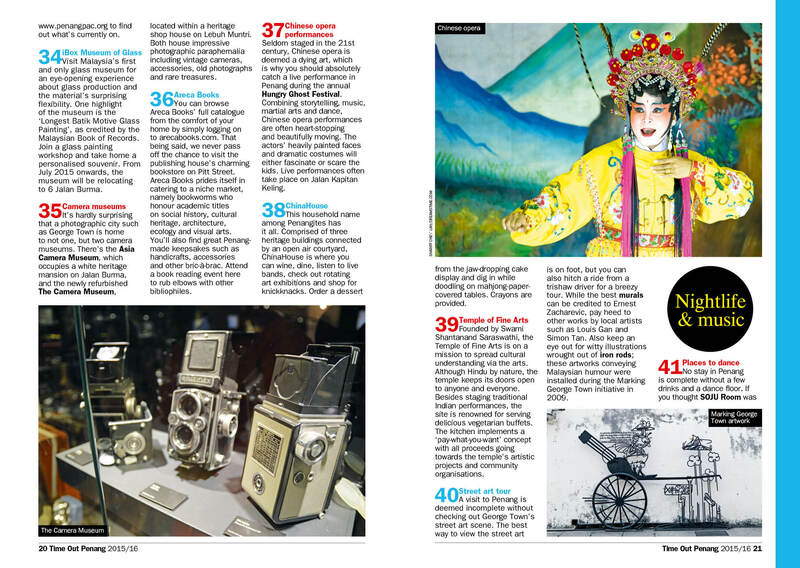 If you've ever wondered what makes Ernest Zacharevic tick, or how the George Town Festival started, or even just where to get a refreshing cocktail after a day spent traipsing the heritage streets, you're really going to like the latest Time Out Penang guide, which now comes in a handy travel-friendly size. 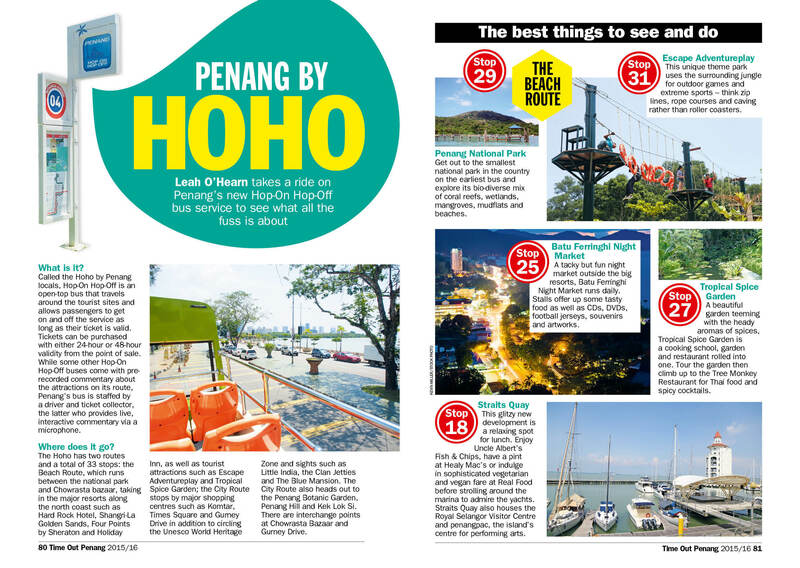 Discover the best 50 things to do in Penang: we take you to the island's greatest places to dance, drink and eat duck kuey chiap, the most interesting heritage attractions and art galleries, and we even scout out the cooking classes that will get you dishing up Nyonya cooking like a pro. 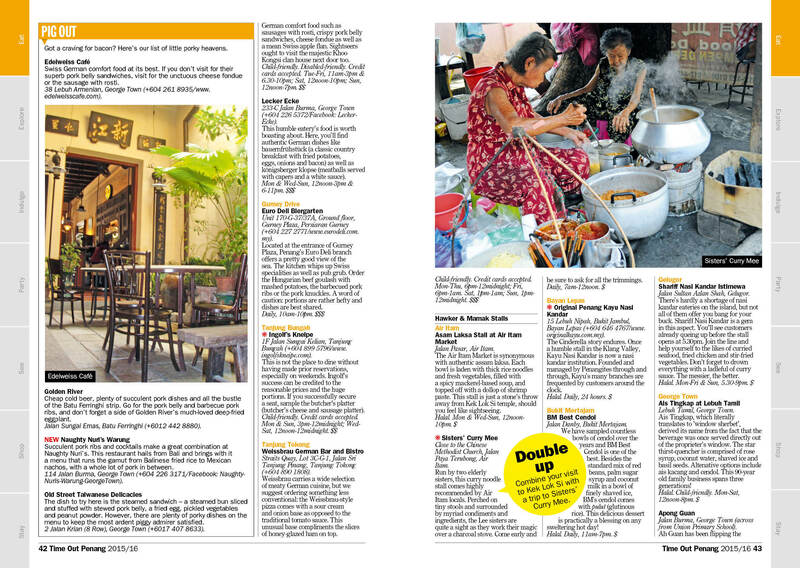 As always, we've got a comprehensive line up of listings covering attractions, activities, nightlife, shops, hotels and of course, food. 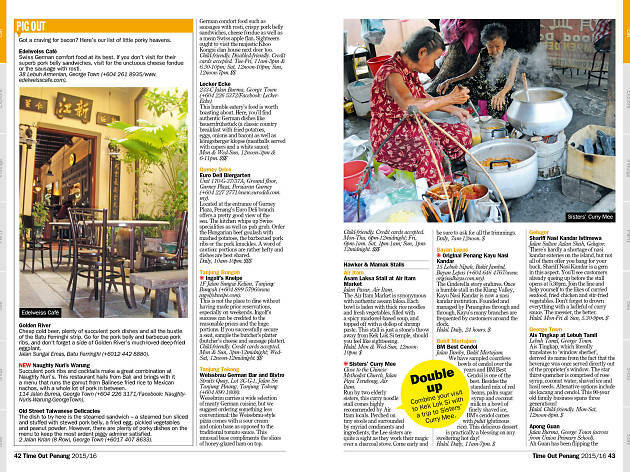 Loosen that belt for hawker stalls, cafes, food courts and more. 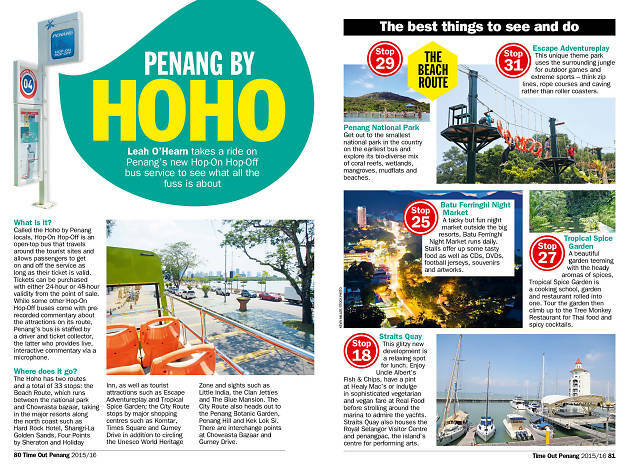 We check out the Hoho, Penang's new, air-conditioned hop-on hop-off bus tour with live commentary, and find out the best attractions to look out for along the way. 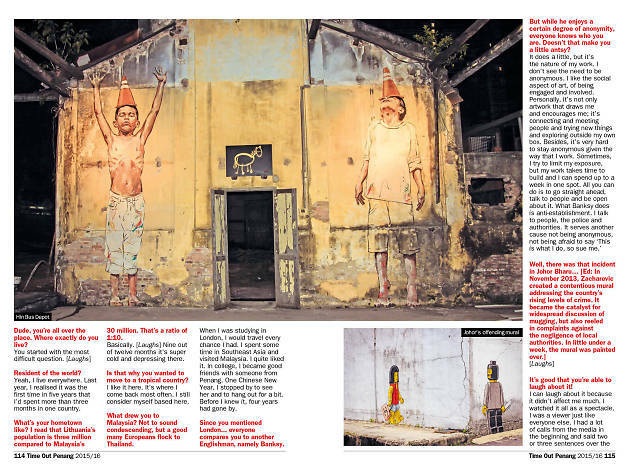 Ernest Zacharevic has changed the face of Penang's heritage streets with his cheeky murals so we wanted to find out what drives him. 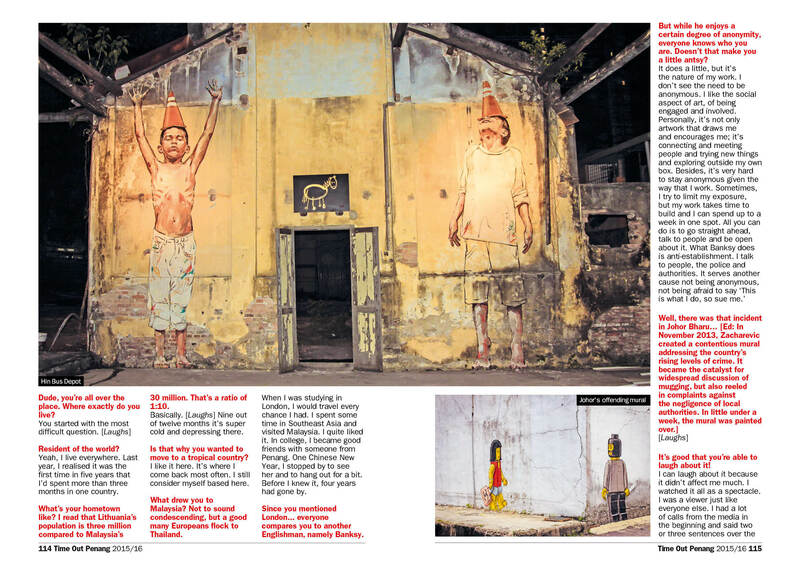 Check out our interview with Penang's answer to Banksy. Thirsty? 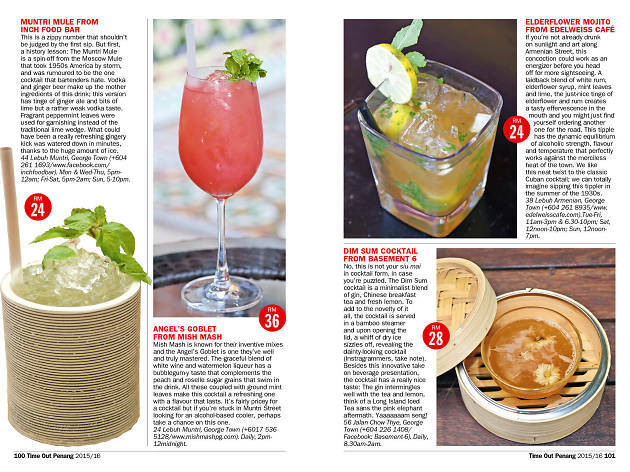 Find out where the best summer cocktails are chilling out and join them. 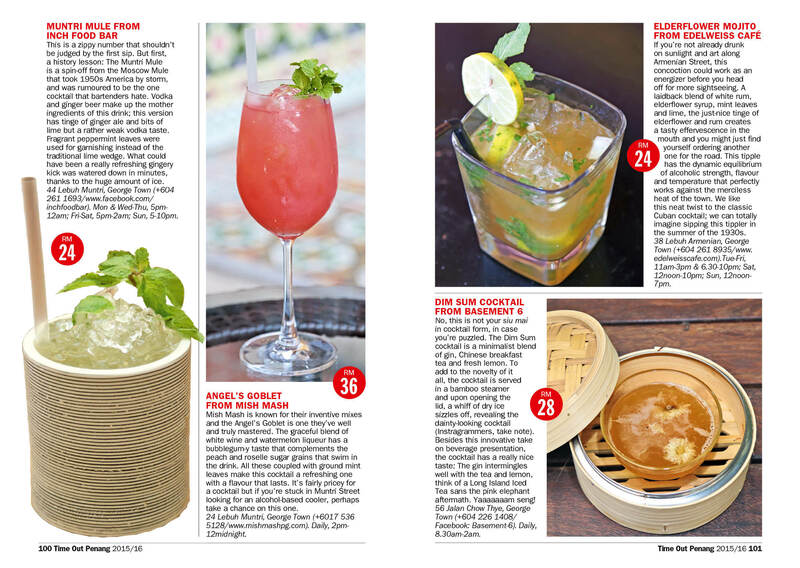 Whether you opt for a Muntri Mule or a delicate Dim Sum Cocktail, these refreshing mixes will perk you up in no time. 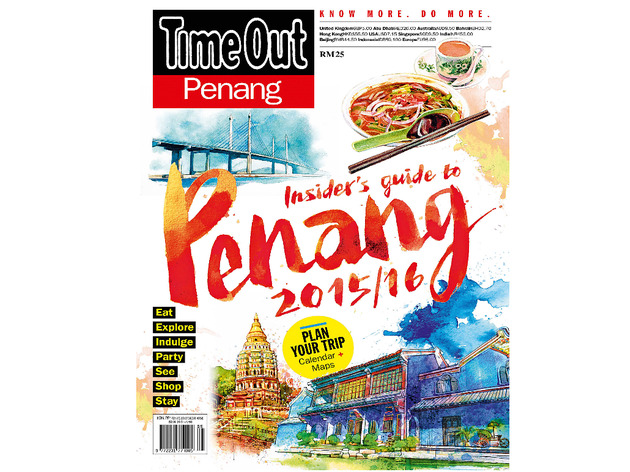 Get the 2015/16 edition, RM25 at newsstands or enjoy a 20% discount (limited offer) when you buy it online on eshop.mongooseasia.com. Alternatively, save trees and go digital! 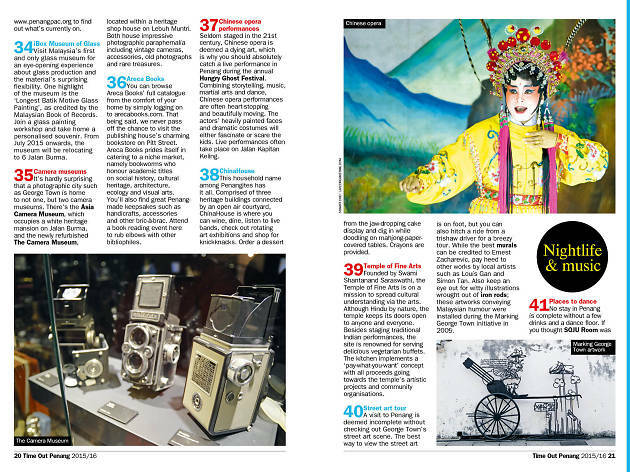 All Time Out Malaysia digital guides are available to download on iOS or Android.